I’ve gotta say, WOW! Joe makes this stuff easy peezie and in short videos. We are talking videos in 1-3 minutes that are well organized with visual guides right there in the lesson. I was thrilled when I learned more about this training he put together and I jumped on board with the enthusiasm of kids at the pool on the first day of summer. Here’s what I gained out of the training – 1st off I love being called a Ninja (suits my superhero fantasy) so I went straight for that training package. Seemingly felt like it was the most bang for my buck, guess what it totally is/was. I am now blogging with Scrivener, which I never even really considered. He also provided tips and tricks that organized the way I go about my projects – love that I didn’t have to figure this out on my own. Also the templates he has built that you get, golden. I made a few templates myself, toying with my style to make it more perfect. There are some great efficiencies in how you use it, compile for printing or loading up to your web page. Lastly, when you’ve finished your training, guess what, it never goes away and you’ll get updates as Joe posts them (now that is customer love right there). If I love something, guess what you’re gonna hear about it, especially if I think it can help out my fellow peeps of fellow writers, bloggers and professionals about this training, because lets face it Scrivener is great software for writing – you’ll never go back. I am not one to endorse products lightly, however, I was so thrilled about this course and my experience in it, how could I not share it. I got so much out of it, that yes you may call me a Scrivener Ninja now (by the way did I say how much I enjoy being called a Ninja?). Check it out for yourself, see if it’s right for you on the link below. Through this training I’ve learned a great deal about Evernote too – OMG that product is brilliant too. I can gush all day long over both of these, but for now check out how to Learn Scrivener Fast, it’s a game changer. I mean look at me blogging regularly each week now, and getting on track with my other projects. Look out! Did you like this post? If so, Sharing is caring and give me a little thumbs up that you did “like” it. Have you taken the course, comment below and share your thoughts. Full Disclosure: Please note that the link above for the training is an affiliate link, and at no additional cost to you, I will earn a commission if you decide to make a purchase. Please understand that I have experience with this product, and I highly recommend it because it was helpful and useful to me, not because of the small commissions I make if you decide to buy something. Please do not spend any money on this product unless you feel you need it or that it will help you achieve your goals. Thanks for the information, Cassie. I’ve never been able to get my head around Scrivener, maybe now I’ll have a shot! Certainly check out his web site, made a huge difference for me. I hope this helps you too 😊. 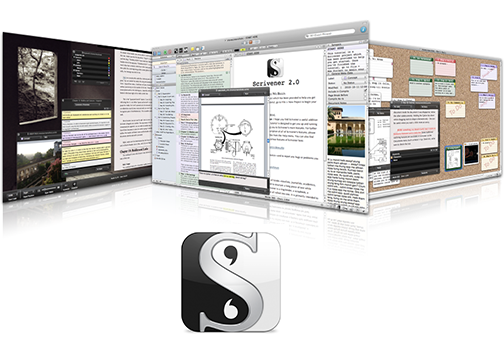 I’d never heard of Scrivener before reading this. I tried your link, to take the tour, but it didn’t seem to want to work for me. (Maybe my computer’s too slow). Went to trusty old Wikipedia, and it looks interesting, but I think I’d spend more time fiddling with it than actually doing any writing, and I have to confess that I like doing that best (the first draft anyway) with a pen and some paper. But you never know, I am a bit of a sucker for organisational stuff. Thanks for the post. You should check it out. I was skeptical as well, but I tell you I’d never go back and organizational wise Evernote is fantastic & free go check out that on the web too.